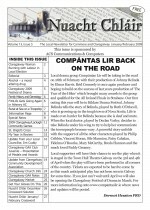 The first edition of the Nuacht Chláir was published in January 1990, and was just a single A4 sheet delivered door to door. 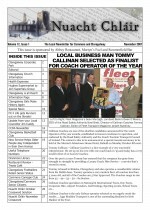 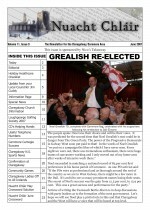 However, the editorial committee disbanded soon thereafter and for several years there was no community newsletter. 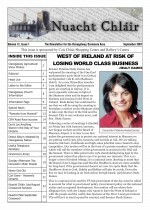 That was until August 1996, when current Editor, Josette Farrell, formed a small group to revive it. 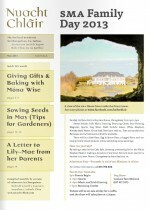 With the rapid expansion of the community in the years that followed, demand for a more comprehensive newsletter was met, and thus Nuacht Chláir has grown steadily over the years. 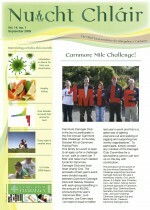 It has been a community project from the beginning, with local contributors sharing their stories and photos, and local businesses sponsoring printing costs. 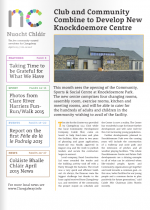 Nuacht Chláir, the community-curated newsletter for Claregalway, printed editions from 2015. 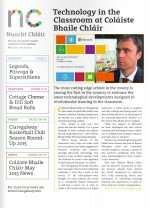 Nuacht Chláir, the community-curated newsletter for Claregalway, printed editions from 2014. 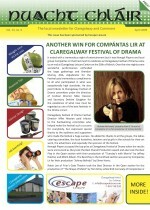 Nuacht Chláir, the community-curated newsletter for Claregalway, printed editions from 2013. 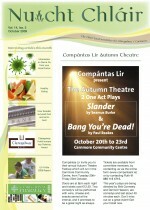 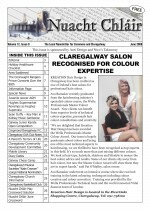 Nuacht Chláir, the community-curated newsletter for Claregalway, printed editions from 2012. 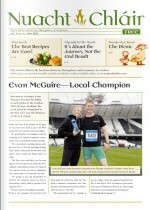 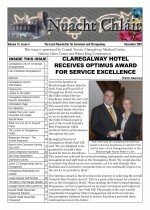 Nuacht Chláir, the community-curated newsletter for Claregalway, printed editions from 2011. 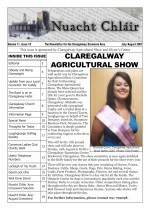 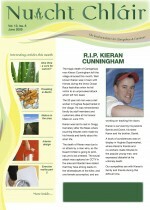 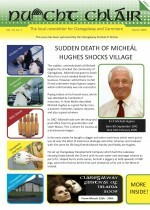 Nuacht Chláir, the community-curated newsletter for Claregalway, printed editions from 2010. 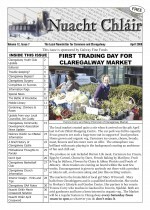 Nuacht Chláir, the community-curated newsletter for Claregalway, printed editions from 2009. 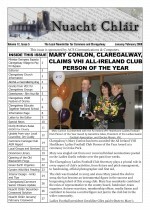 Nuacht Chláir, the community-curated newsletter for Claregalway, printed editions from 2008. 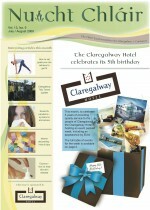 Nuacht Chláir, the community-curated newsletter for Claregalway, printed editions from 2007. 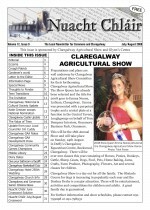 Nuacht Chláir, the community-curated newsletter for Claregalway, printed editions from 2006. 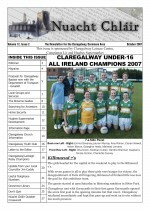 Nuacht Chláir, the community-curated newsletter for Claregalway, printed editions from 2005. 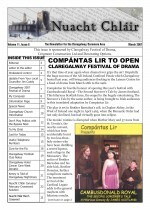 Nuacht Chláir, the community-curated newsletter for Claregalway, printed editions from 2004. 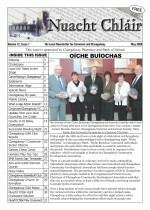 Nuacht Chláir, the community-curated newsletter for Claregalway, printed editions from 2003. 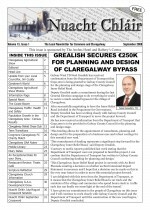 Nuacht Chláir, the community-curated newsletter for Claregalway, printed editions from 2002. 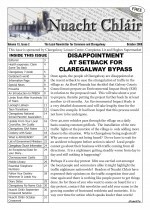 Nuacht Chláir, the community-curated newsletter for Claregalway, printed editions from 2001. 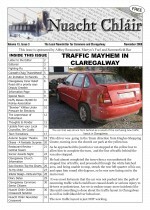 Nuacht Chláir, the community-curated newsletter for Claregalway, printed editions from 2000. 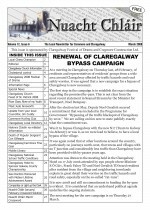 Nuacht Chláir, the community-curated newsletter for Claregalway, printed editions from 1999. 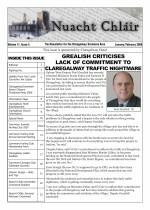 Nuacht Chláir, the community-curated newsletter for Claregalway, printed editions from 1998. 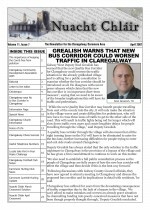 Nuacht Chláir, the community-curated newsletter for Claregalway, printed editions from 1997. 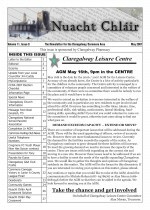 Nuacht Chláir, the community-curated newsletter for Claregalway, printed editions from 1996.